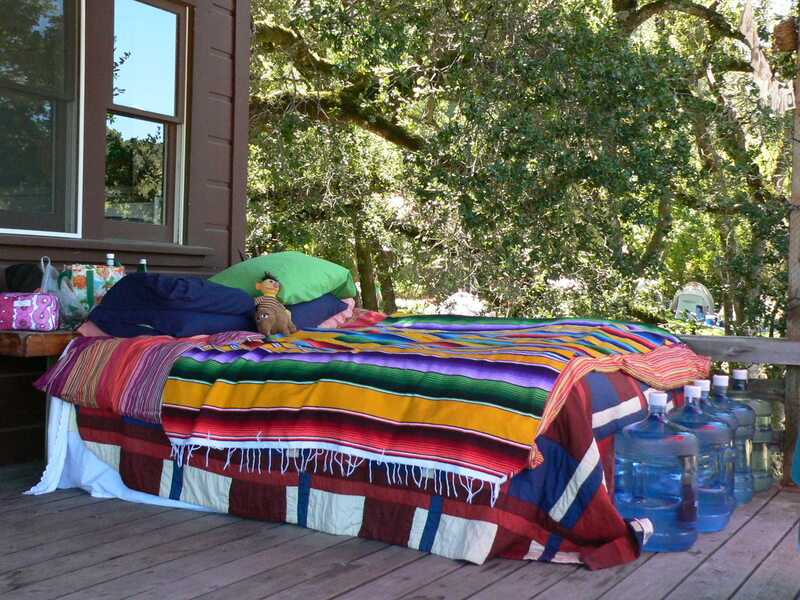 We attended the most beautiful wedding this past weekend in the California wine country and were gifted this amazing place to rest out head at night… a bed on a porch overlooking a pond under an old oak tree surrounded by vineyards. P awoke the first morning to a yearling buck walking past. And the sound of frogs and laughing friends lulled us to sleep at night. Sounds Glorious! I love vineyards! We used to sleep on a porch, under the stars in Colorado. There were SO many bright ones at the altitude of over 8,000 feet! No vineyards, just corn and potato fields forever. This just looks absolutely perfect. I feel calmer just seeing the photo. LOVE.